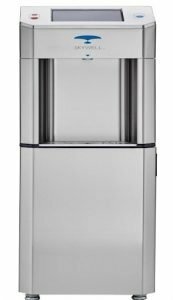 Introducing the revolutionary Sharp Skywell Water Maker. If you are juggling multiple water options for employees and visitors, the Skywell may be your perfect solution. 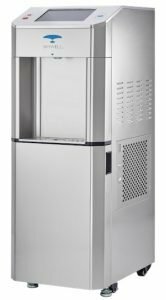 This attractive, standalone unit produces filtered, pure water from the natural humidity already in the air. The Skywell Water Maker extract water from the humidity in your office air. The water uses multiple filtration stages along with ultraviolet light purification, and ozone treatment to eliminate nearly all contaminants. The result of this rigorous process is the freshest, purest water you can get, far purer than municipal water and bottled water alternatives. And, it has the added benefit of being acceptable to employees and visitors with sensitivities to chemicals found in bottled water. An 8” touchscreen and smartphone apps provide control for the Skywell Water Maker, both at the Skywell and remotely using your Wi-Fi network. The touch screen can display messages, welcome visitors, allow employees to create and access personal hydration schedules and more. The smartphone app provides remote management and employee access to their hydration schedules and results. 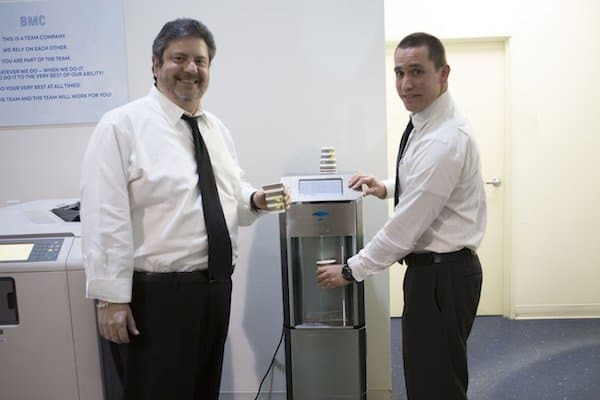 The future of office water supply is here in the Skywell Water Maker. When you work with some companies, you’re a number. With us, you’re a person. The experts at BMC will get to you know you, your company, your team, your needs, and your budget. Then we can make the best recommendations, based on the specifics of your situation. 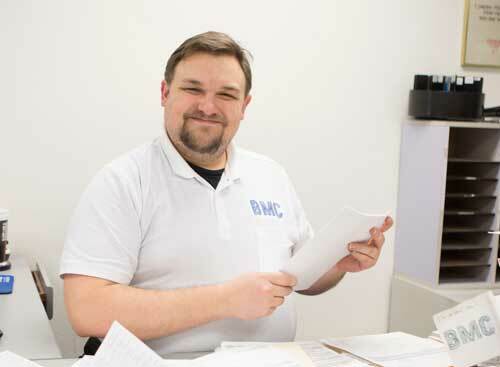 Contact BMC today to get more information on how your company and employees can benefit from a Skywell Water Maker or call 818-787-2622. 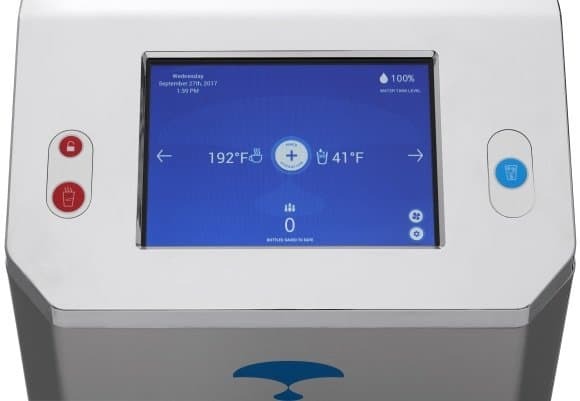 If you prefer, click on the solution link to learn more about our Skywell offering. © 1997-2019 Business Machines Consultants, Inc.